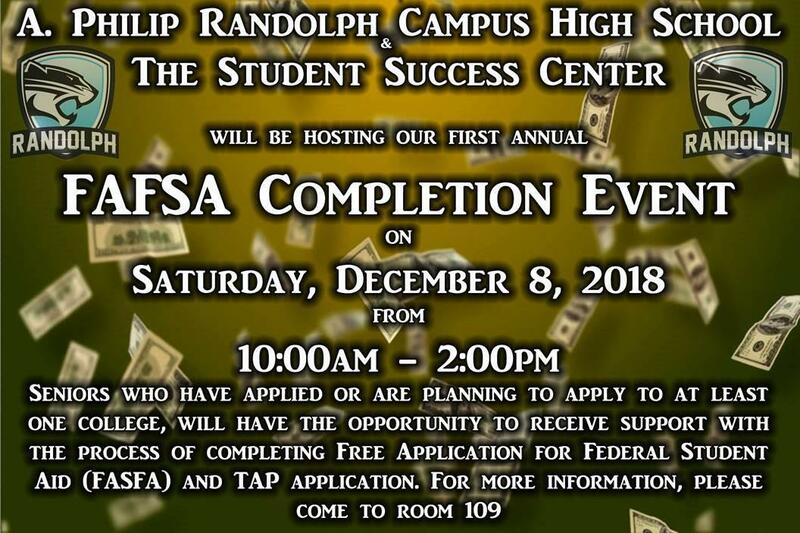 The Student Success Center will be hosting a FAFSA Completion Event on Saturday, December 8th from 10 AM – 2 PM in room 109. 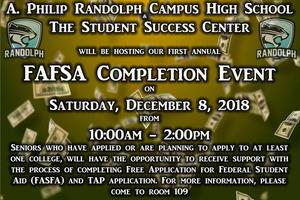 Please encourage any and all Seniors to attend this event if they have not yet completed their FAFSA forms. Many students wait until the last minute to fill out these forms and miss out on many financial opportunities.